Polo de contenidos digitales headquarters in Málaga. 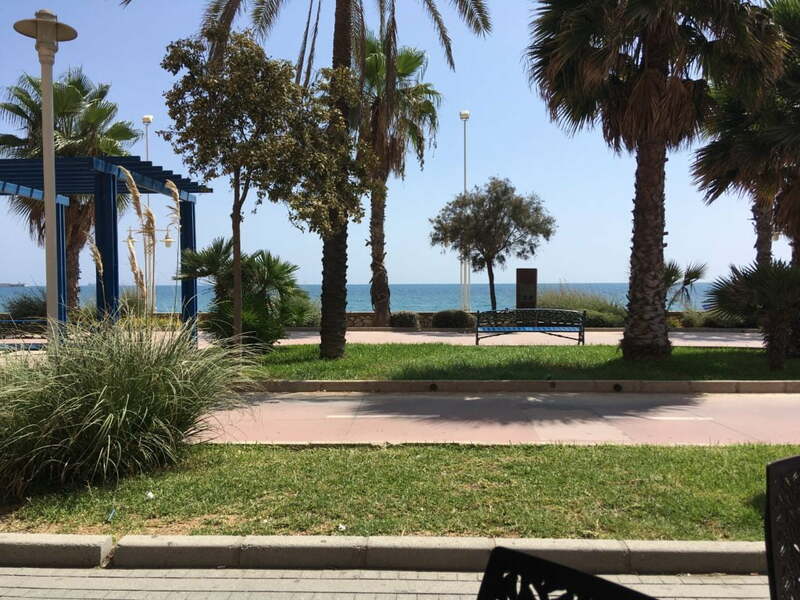 At the beginning of September I was lucky to attend a Digital Art History Summer School in Málaga, Spain, hosted by the University of Málaga and the University of Berkley. 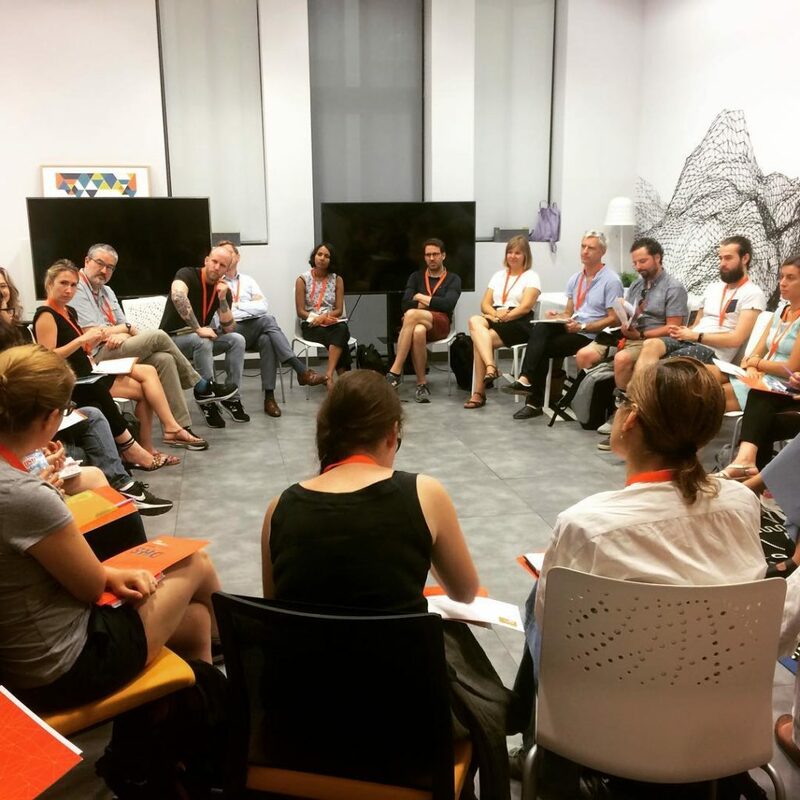 Over six intense days, participants learned about the huge range of digital tools available to support and enhance the study of art and had the chance to delve deeper into one of three tracks: data and the arts, data analysis, and 3D modelling. Instructors and participants introduce themselves on day one of the course. 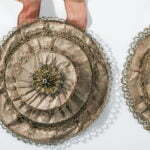 It was really difficult to choose which track to follow, as the Refashioning the Renaissance project will have huge amounts of data drawn from the inventories and account books gathered by Stefania Montemezzo and Anne-Kristine Sinvald Larsen, but we also plan to create a digital reconstruction of a garment later on in the project. In the end, I decided to spend the week as part of the data analysis team, learning how to use statistical analysis software and create visualisations that help us make sense of data (and present it in interesting ways!). We worked with a programme called R and R-studio, taking data from the Museum of Modern Art in New York as a case study. It was really great to learn that many museums provide metadata from their collections, exhibitions, and institutional history on a website called github.com. This is a wonderful resource, largely untapped by art historians and so it offers lots of new and exciting research opportunities. It doesn’t take long to feel refreshed and ready to get back to work with a lunch-time view like this! Over the week we worked with MoMA’s data and gained a better understanding of the distribution of different media in the collection (it’s largely composed of prints and illustrated books, followed by photographs – not paintings or sculptures as we might expect), the nationalities of the artists whose work can be found in the collection (mostly American), the gender breakdown (mostly male artists) and how works were acquired (purchased, gifted, bequeathed or in other ways). We also learned that images can be imported into R and analysed for the distribution of colour, luminosity and other factors. 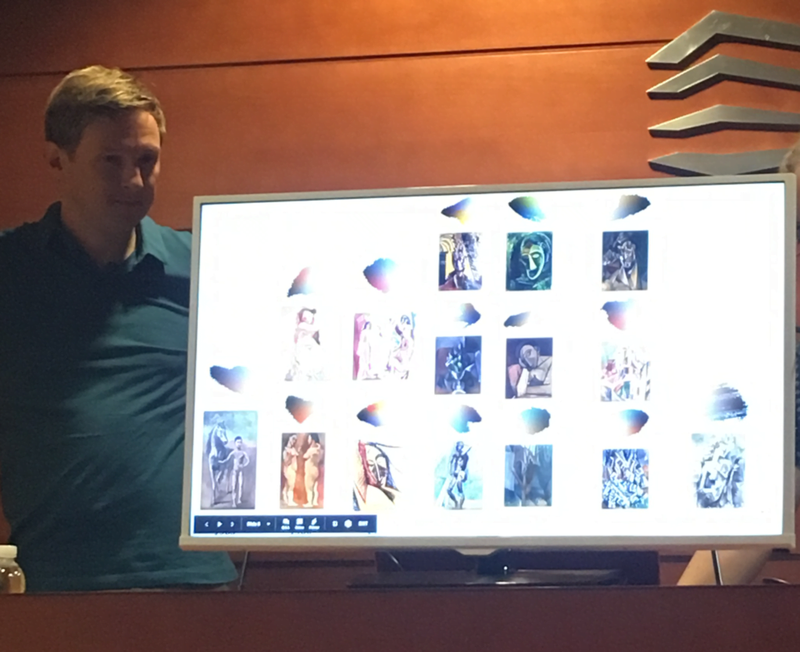 Harald Klinke, the leader of the data analysis track, presenting visualisations of colour distribution of Pablo Picasso’s paintings in the Museum of Modern Art, New York created by one of the team members. It was also really exciting to see the projects that the other two tracks worked on, including the creation of a new website that lets you analyse images to see how complex they are and 3D scans of the Polo de contenidos digitales headquarters in Málaga, where the course was held. We also learned about the digital projects that participants are working on, ranging from understanding how humans understand representations of different surfaces in paintings, to a reconstruction of the Alhambra in Granada. In all, it was a full and intense week but I learned so much about the kinds of digital tools out there for art historians, and the Refashioning the Renaissance project in particular, as well as had the chance to meet and work with wonderful people from all over the world.